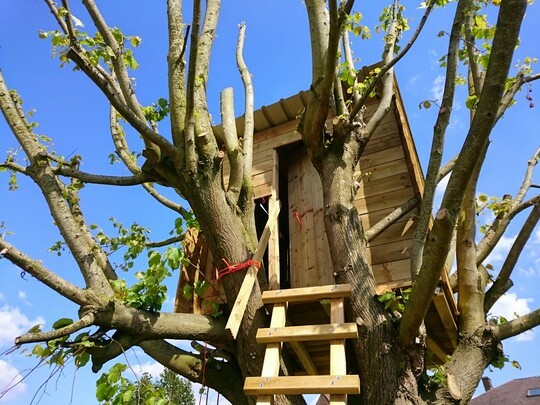 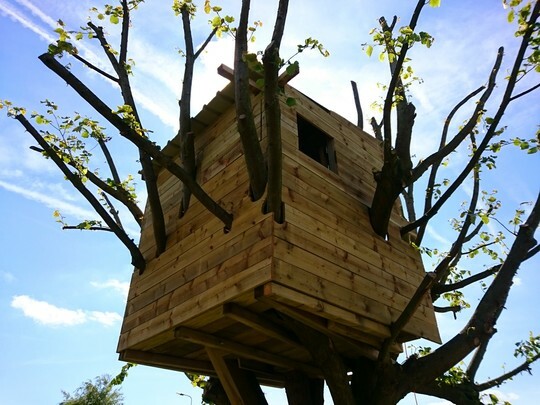 We have a beautiful lime tree (linden) in our backyard, so what else can you do then but build a treehouse. 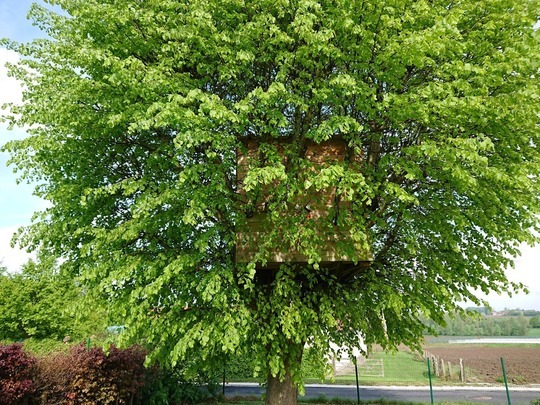 I wanted a "real" treehouse, so without any poles to the ground. 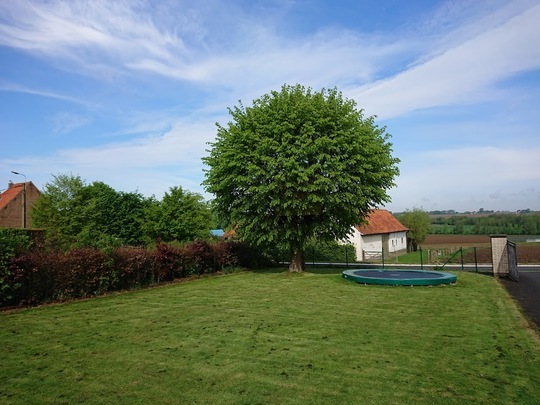 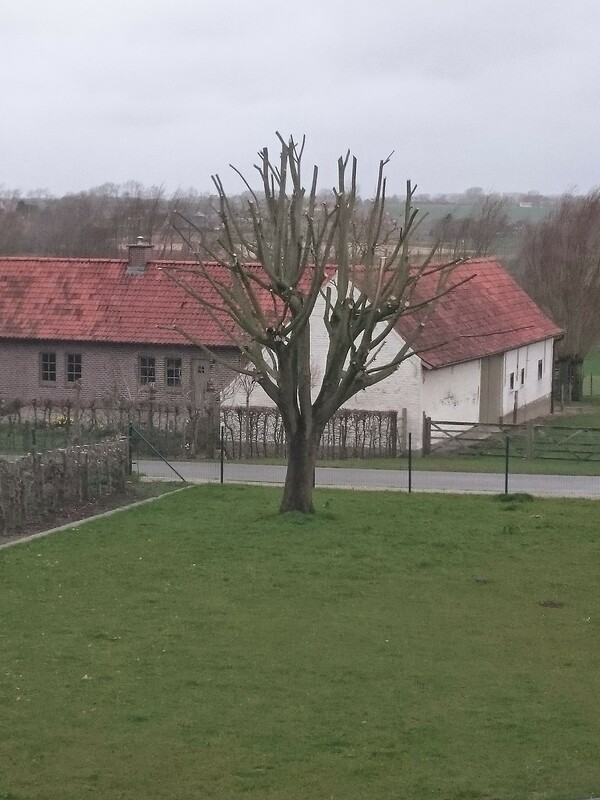 Once we had the tree pruned, it became easier to see the possibilities. 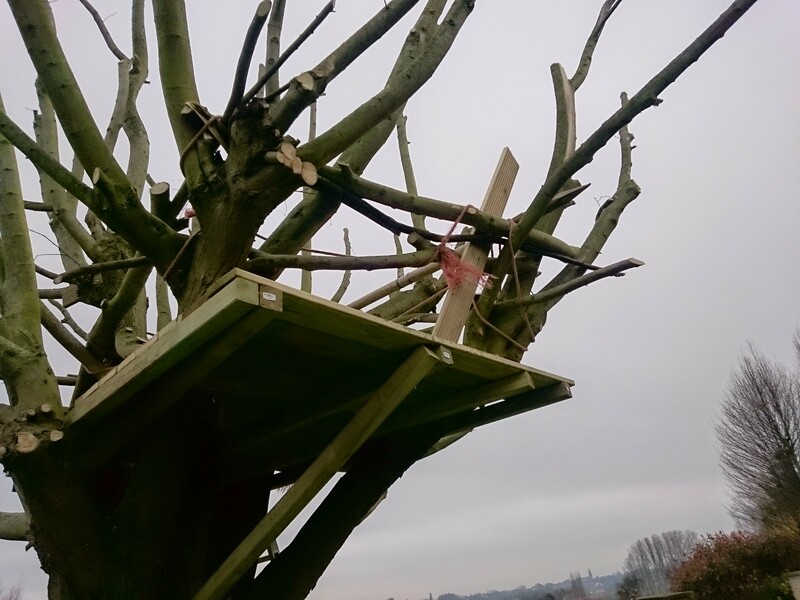 We only had to remove one big branch to make enough room for the platform. Apart from the door and ladder in back, the treehouse features two closeable windows. This is what it looks like when the tree is in leaf.